Near Normalcy: I love that kid. This morning my daughter told me she'd found a dragonfly wing in our back yard. "I knew it was a dragonfly wing because it was really big, and an oval, and it was shiny like a dragonfly. I put it in my science bowl." "You have a science bowl?" "Yes! Well, really it's a Tupperware. I keep it in the back yard." "What do you put in your science bowl?" "Cool stuff I find that I want to check out! Like my dragonfly wing. And I put some flowers in there so I can take apart the pollen and discover what's inside. Or like, I found some blue bark at school. Blue bark! So I put it in my backpack. I think it's still in there! I need to put that in my science bowl." 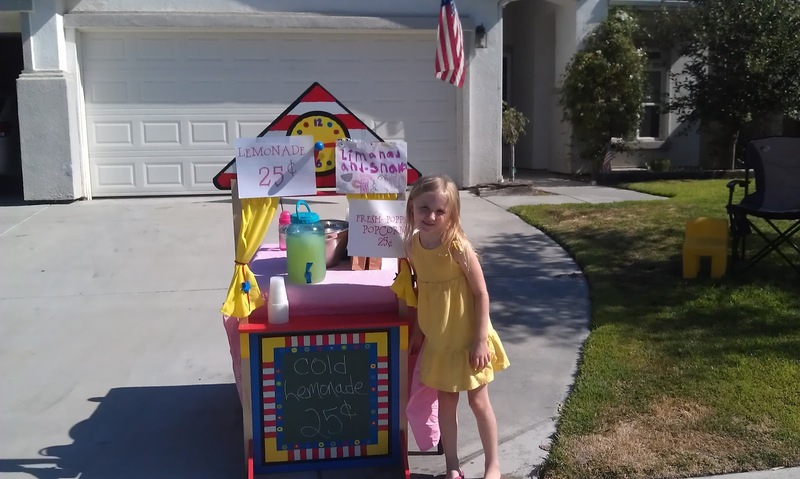 Near the end of the summer, she read Pinkalicious and the Pink Drink * and decided that she needed to have a lemonade stand. So, we had a lemonade stand. On possibly the hottest day of the year. She waved and smiled and COMPELLED cars to stop. She chatted people up. She up-sold them and convinced them they needed popcorn to go with their lemonade, or maybe they needed TWO cups, because it was soooo hot. This child made $30. Selling lemonade for 25 cents a cup and popcorn for 25 cents a bag. THIRTY. DOLLARS. Yeah. That's how I roll. 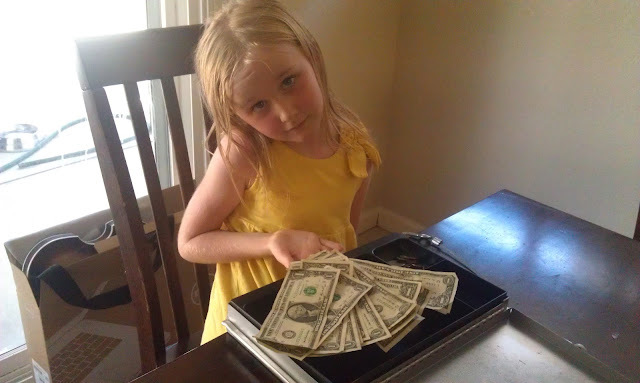 She used the money to buy a Monster High doll. And now she wants to be a vampire for Halloween. When did the Princess stage end? I wasn't ready. 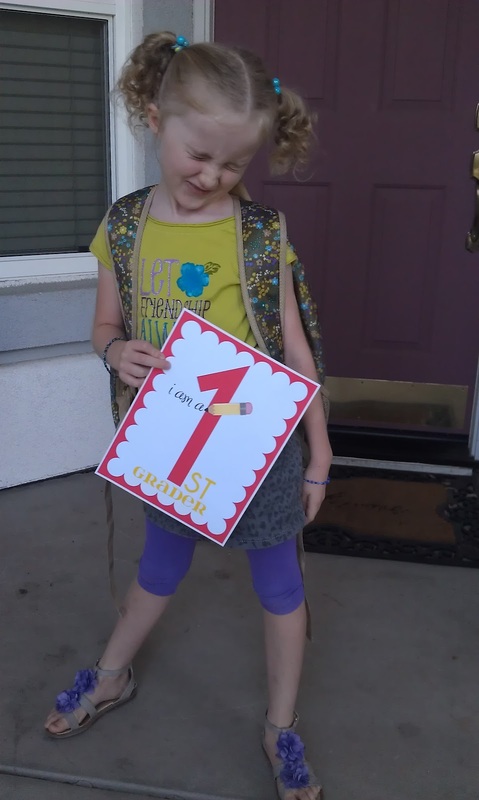 She's in first grade now. The Monster turned 2 last week and I was kind of ok with that; he seemed ready to be 2. But my kids' birthdays are 6 months apart, which means when he turned 2, she turned 6 AND A HALF. That I wasn't ready for. Six hit me hard and it can't already be half over, can it? And then what? She turns 7? Preposterous. Sigh. I love that kid. I say to you, I certainly get irked at the same time as people think about concerns that they plainly don't recognize about. You managed to hit the nail upon the top and outlined out the entire thing without having side-effects , other folks can take a signal.